Hours Monday thru Saturday 10am – 5pm by appointment only. Kelli has always had a passion for the beauty industry. As a young child she would spend countless hours daily, putting make up on her Farrah Fawcett doll head. In high school she did some modeling. After having three daughters and playing with their hair and faces, they convinced her she was talented and needed to go to cosmetology school. At the age of 28 Kelli graduated from Missouri College of Cosmetology. After seven years she decided her real passion was in esthetics. After a few years of being trained by the best in the industry, she went back to school and got her Esthetics license. She immediately accepted a job with a local spa in Springfield. 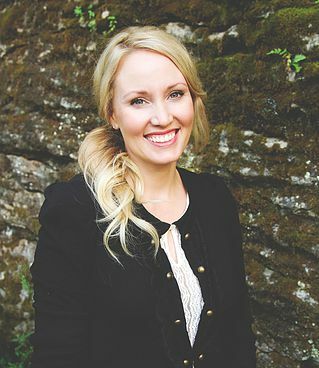 Deciding medical Esthetics would be a dream, she began working for a medical spa in Branson. 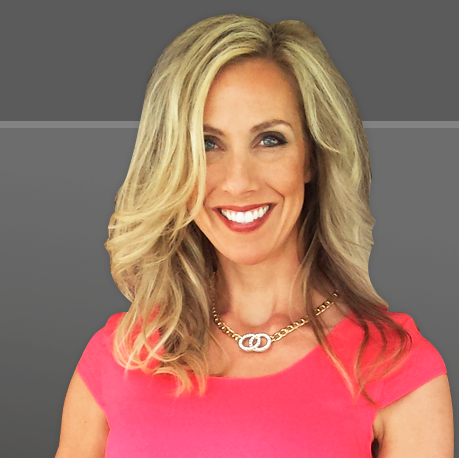 Eagerly learning every aspect from medical treatments to plastic surgery, Kelli decided the wellness industry would be her new goal. This lead her to Dynamic Body and her own space. 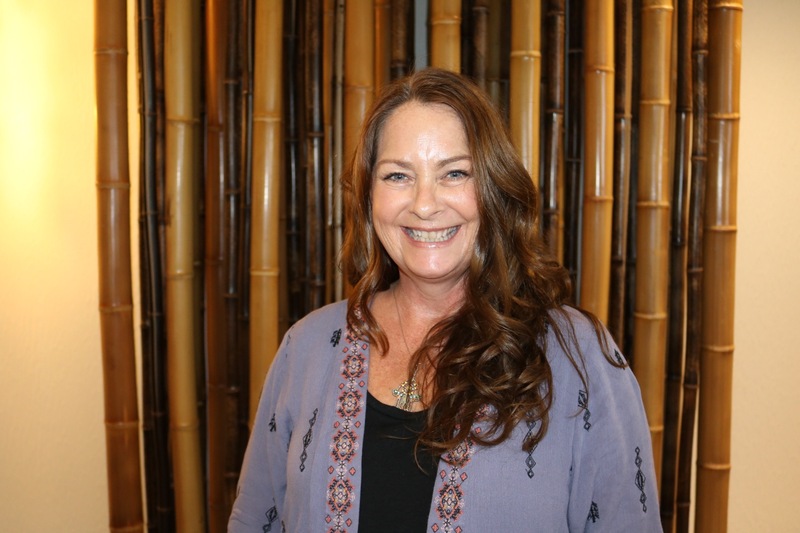 Kelli has taken extensive classes ranging from chemical treatments all the way to holistic therapies. Many massage therapy continuing education classes has helped her be at the top of her game pampering her clients. She attends the Industry trade shows every year in different venues as one of the many ways she keeps up with current trends. 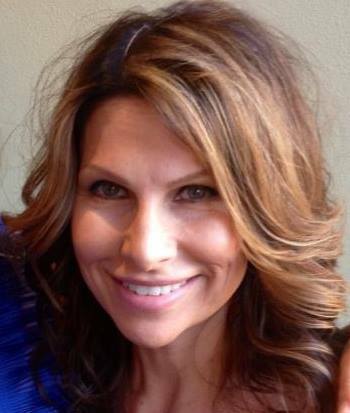 Kelli throughly researched medical grade skincare lines and will be using Osmosis Pur Medical Skincare. I guess you could say Kellis biggest passion is learning. She is very excited to have her own business so she can be free to use and implement all her skills and knowledge on her clients! My name is Lenka Hales, Licensed Manicurist / Reflexologist. I am proud to say that I am joining a team at Dynamic Body! As a small business owner I have always strived for excellence in the care and health of my clients feet and hands. I have more than 23 years of experience and I love what I do. I individually customize my treatment approach addressing every single customer’s need from basic pedicure or manicure to specialized treatments to maintain a healthy lifestyle. Relax as you get your fingernails conditioned (trimming, shaping and cleansing). Top it off with your choice of Sparitual vegan nail color. Beautiful manicures begin with healthy, resilient nails. SpaRitual has developed a collection of sophisticated Nail Elixirs to nourish cuticles, build strong nails and establish a flawless environment for color. SpaRitual is also the first to offer 3Free – (DBP, Formaldehyde and Toluene) free Nail Elixirs in the professional nail care industry and the first spa treatment line of vegan nail care products. Includes a foot soak, scrub, nail grooming, and massage with your choice of Sparitual vegan nail color. Let the stress of your day melt away as you relax in state of the art Murano chair while you receive a foot soak, scrub, masque, nail grooming, and a massage. Complete with your choice of Sparitual vegan nail color. Conditioning the toenails, buffing and callus removal, exfoliating your legs and feet, moisturizing with a gentle massage, and your choice of Sparitual vegan nail polish. This treatment is recommended for first time clients and can be combined with Reflexology as the ultimate unforgettable foot experience. Let SpaRitual introduce you to progressive concepts designed to treat your mind, body, hands, feet and nails. Enlighten yourself. Be a SpaRitualist – because we all deserve to live the good life. For thousands of years, SpaRitualists have immersed themselves in the mysteries of water. Over time, this spa tradition has grown to encompass beauty and rejuvenation in all of its aspects, both inside and out. SpaRitualists understand and enjoy the powerful benefits of skin treatments. The modern SpaRitualist nurtures herself on a daily basis, balancing a busy schedule with little luxuries, simple beauty rituals and quick retreats. Attuned to her dreams and the rhythms of life, she is witty and sensual, fashionable and wise, practical and lighthearted. She designs her own life, enriching it with the best in beauty, nutrition, stress-management and exercise. She has discovered SpaRitual. This luxuries refreshing service has been created for you to refresh, rejuvenate with this wonderful citrusy sense. The sense of fresh lemons warmed by the sun are the inspiration for this refreshing bath and body collection created exclusively by and for Harem & Company. Sterilization in Dynamic Body is performed through the use of heat and steam in a machine called an Autoclave. Autoclaving is one of the most effective methods for destruction of all types of microorganisms and used in spas for sterilization of metal implements. The implements are in pouches that bear signals that indicate ‘kill’ temperature has been achieved, and that the implements are ‘fresh’ and microorganism free. Tonya Pastar is a licensed massage therapist and graduate from the Healing Arts Center in St. Louis, MO. While at the Healing Arts Center, Tonya accepted an invitation to practice her skills in the Cancer Clinic at HAC, working with those were currently receiving treatment for various types of cancer. Upon graduation, she was inducted into the Order of Twin Hearts, an honors society at the Healing Arts Center. Tonya’s techniques include Swedish, trigger point therapy and myofascial release. She is also a Reiki Level 2 practitioner. Her skills allow her to work with those in chronic pain, orthopedic issues, and athletes looking to improve performance or recover from injury. Her goal is to help her clients have an improved quality of life, alleviate pain, enhance their health, and improve mobility. She also helps educate her clients on how to care for themselves outside the massage room between treatment sessions. 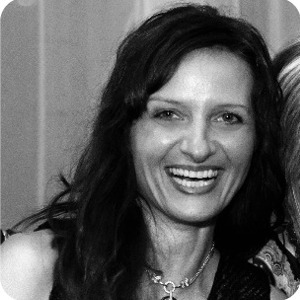 She strives to help clients live a healthy, holistic lifestyle through the healing power of touch and essential oils. 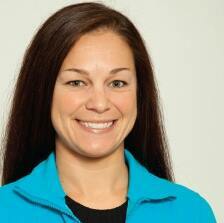 Tonya is also a personal trainer (ACSM) and teaches Pilates and TRX at Dynamic Body. She also holds a Master’s Degree in Health Promotion and Wellness Management and a Bachelor’s in Exercise Physiology and Public Relations. Her passions include running, trail running, triathlons, and any other way to stay fit and active. Let’s face it; life is a constant juggling act. Between family, work, and your social life, we often feel pulled in many directions. As a result, you can become so paralyzed by responsibilities and ‘to-dos’ in your day to day that you fall into a state of procrastination, overwhelm and feel stuck! Everything becomes a struggle, leaving you feeling exhausted, unmotivated, uncreative, unfulfilled, lost, and in a funk! You may know what you want, but no matter how hard you try to achieve your goals, fears, doubts, or uncertainty hold you back. You’ve become a people pleaser saying yes to everyone but yourself. No matter what your circumstances, we’ve all been there and it’s usually just a temporary situation, but sometimes people get really stuck and the problem turns into a serious problem. Left unchecked, you could end up living a life of quiet desperation filled with regrets, and lost opportunities. You can read all the self help books out there, but if you want to make lasting changes, you must be able to translate what you learn and apply it in your life on a consistent basis. Most people lack the discipline, motivation and ability to see their own blind spots. One of the best strategies to get what you want in life is to work with a coach. No great entertainer, athlete, or CEO of a major corporation does it alone. The most successful people in the world recognize the huge benefit of investing in themselves. Coaching is an investment that can give you a return on your happiness and well being many times over. This is where I come in. I help busy people like you create, meet and exceed goals and feel happiness, clarity, and inner peace. As a coach, I help bridge the gap from where you are to where you want to be with simple tools that give you the Dynamic life you have been looking for! My coaching style is conversational, collaborative, and solution oriented. I serve as a sounding board, accountability partner, and mentor to help with a simple systematic approach that not only creates lasting results, but saves you valuable time. I have worked with a variety of clients, but the common denominator among all is they crave more out of work or life than they currently experience. I work with relatively healthy, motivated people ready for a change. Coaching is for anyone wise enough to realize we all have blind spots and can benefit from a trained and experienced set of objective eyes. Men, Women, College age students in different stages of their personal and/or professional life. I work with high performers in business, visionaries, entrepreneurs, and leadership teams utilizing the EOS tool (for more info visit my website). I do not work with deep psychological problems or trauma. I do not work with people who have fears or phobias that seem extreme and resistant to change, or you believe you have clinical depression, severe anxiety, or addiction issues. It is important to make sure we are a mutual fit! Your first step is to schedule a consultation to talk about your challenges and goals. Most of my coaching sessions are in person at Dynamic Body. Sessions can also be done over the phone or via Skype or Zoom so I can conveniently work with you from just about anywhere. I offer customized packages based on each client’s specific needs. Prices are discussed during consultation. $35 consultation fee. Life Coaching is an investment in your most precious asset: YOU. You cannot put a price tag on your well being. Note: I only take on 5 new clients per month, so please contact me to check availability as it’s very limited. Jill has a B.S. degree in Communication Disorders with emphasis on Psychology, she is a graduate of Coach For Life and Mindfulness School. In addition, Jill is the first EOSⓇ Implementer in the SW area.